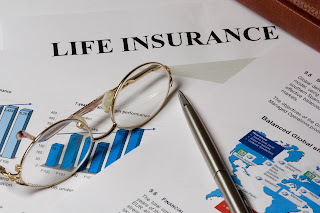 Personal Finance After Hitting 50: Is It Too Late for Life Insurance? For many of us, life insurance is something we only consider after a life-altering event such as marriage or the birth of a child. But for those who haven’t gotten around to investigating its possibilities as we reach retirement age, are affordable options still available? If you’re in good health, the answer is yes. And you’re not alone: since so many people are getting married and having children later in life, the big questions are now announcing themselves later and later. The first step in determining what kind of life insurance plan you need to get is figuring out who is financially dependent on you and to what extent they’ll need resources in the event you pass. Determine the amount of money that would be commensurate with what you are currently providing for them and calculate how long they’ll need funding. Potential financial dependents may include your children, spouse, parents or a sibling you provide for financially. When you have your policy in place, you can choose to name multiple beneficiaries and give a specific number for each to inherit. If nobody is financially dependent on you, you may still consider life insurance if you want to provide for someone after your death. For example, parents with grown children may pay a small monthly premium to know that their children will get a set amount of funds every month or to make sure their funeral costs will be addressed. Can I Get A Plan? For most applicants, the criteria for getting a life insurance plan include undergoing a physical examination and answering a questionnaire about your health and habits. When the company determines the current state of your well being, they will offer you their terms and prices. There are many varieties of plan, most of which can be sorted into two main types: term life insurance and whole life insurance. In term life, you simply pay an annual premium for your coverage for a set duration, such as 20 years. Once the 20 years pass by, the coverage is no longer in effect. Whole life or cash value policies operate in a variety of ways. Typically, your premium pays the cost of insurance and contributes to a reserved investment account. The policy lasts for your whole life (hence, “whole life”). Premiums are much higher than what one pays for a term policy, but the benefits are greater, too. For some, there may be a tax advantage, even though contributions are made with post-tax dollars. For many 50-somethings, a 15- to 20-year life insurance plan may be the most affordable and effective way to shield your income and loved ones from financial turmoil after your passing. Keep an eye out for two key factors: the ability to convert to a permanent plan that will continue into your later years, and the plan’s policy on guaranteeing your insurability. Regardless of the type you choose, the maximum value of life insurance is in the peace of mind that it provides. No matter what your circumstances, knowing that your loved ones will be provided for will allow you to fully dedicate yourself to the things you love. You can tend to your organic garden or woodworking project secure in your choices. Adrienne Erin is a writer with interests in education, personal finance, and health. To read more of her work, follow her on Twitter under the handle @adrienneerin.